Hopnel updated their Saddlebag King Kooler (HKC) with an all new gray TPU waterproof liner with heat sealed seams and high density insulated foam that will hold up to 24 beverage cans. A new 4 in. 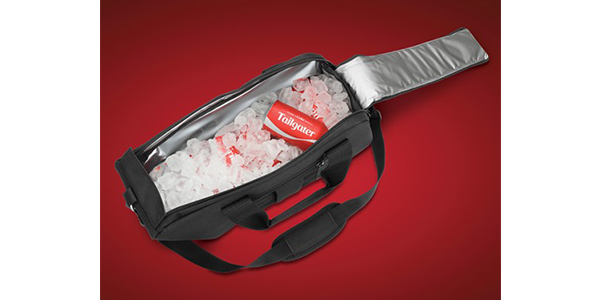 wide double top zipper allows full and easy loading and access to the chilled contents of this 19 in. x 10 in. x 6 in. King Kooler. It includes an adjustable and removable shoulder strap, two side 6 in. x 7 in. zippered compartments and another 4 ½ in. x 6 in. zippered end pocket to accommodate other picnic needs. The King Kooler fits almost all hard saddlebags, including Goldwings, Harley, Yamaha, Kawasaki, Indian and Victory.